Our methods are proven. Our program is time-tested, vetted and backed by thousands of real-world success stories. The path is well lit. Show up. Work hard. Show up again. Work a little harder. Not easy, but not complicated. Just consistent effort and a willingness to embrace discomfort in pursuit of the life-changing mental and physical rewards that come from taking on difficult work. The results are predictable. Success is expected. Strength is inevitable. The HS&C Barbell Clinic is designed to turn new lifters into confident, capable, self-sufficient gym members. 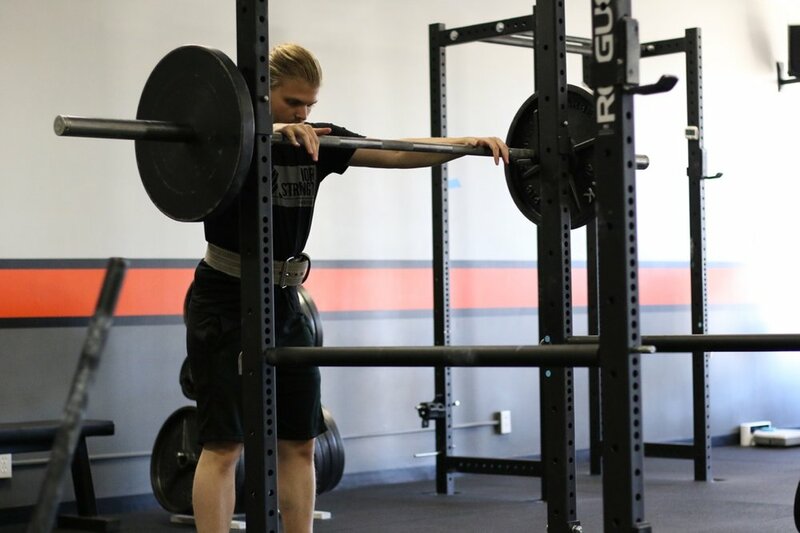 In this two-hour, private training session with a certified Starting Strength Coach, you'll learn everything you need to know to begin strength training safely and effectively, including detailed instruction on the basic barbell exercises, programming strategies, nutrition guidelines, gym etiquette, proper equipment and more. Our goal is to ensure our new trainees fully understand our approach to strength training and are prepared to take ownership of the exciting and challenging journey ahead! Clients that have completed the on-boarding course are invited to join the gym and continue training with the guidance and support of our amazing community of dedicated lifters and coaches.